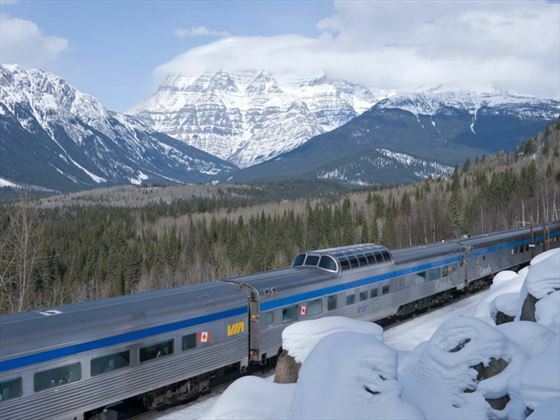 Canada in winter is a magical place, and there’s no better way to see it than from the warmth and comfort of a VIA rail carriage. 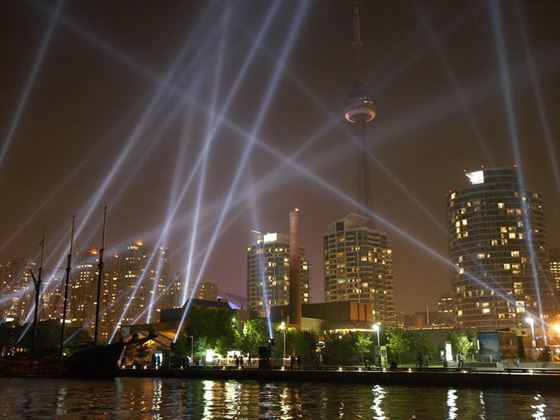 Starting in Toronto you can enjoy the myriad shopping opportunities to stock up on winter woollies, or explore the eclectic neighbourhoods of Kensington Market, Little Italy and the Distillery District. 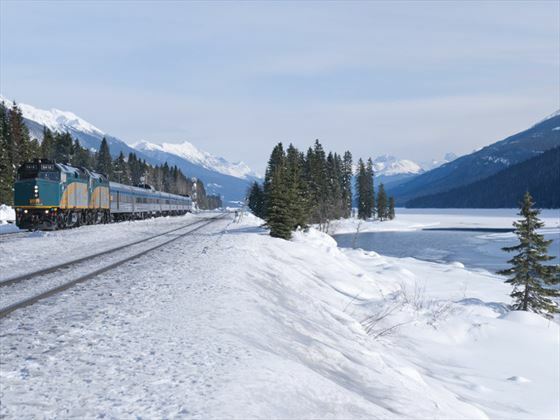 Then board the VIA Rail overnight train for your journey westbound to Jasper. You will have three days aboard the train, taking you through rugged North Ontario onto the Great Central Plains. 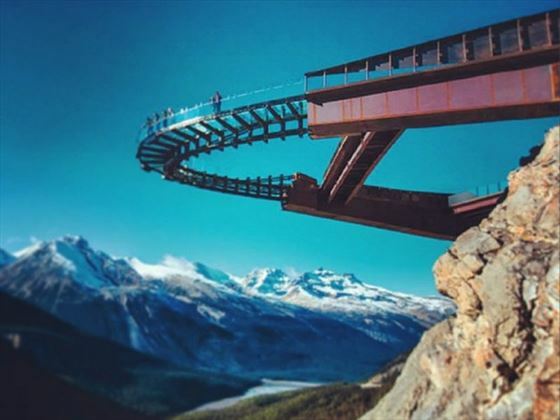 The scenery then transitions to rolling hills and then the towering peaks of the Rockies, until you arrive in the charming alpine town of Jasper. 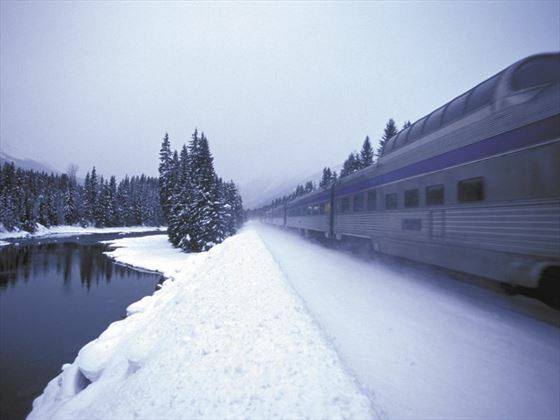 Enjoy three nights in the winter wonderland of Jasper, before boarding the VIA rail train to Vancouver. 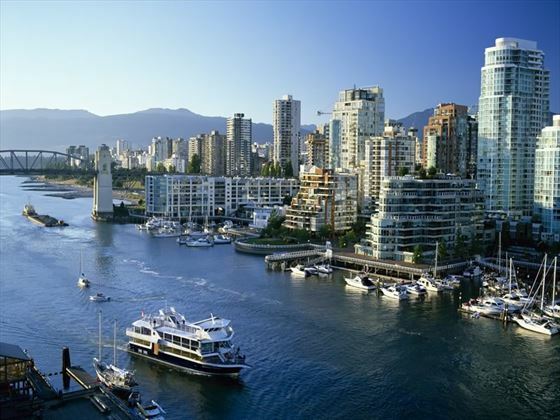 After one more night on board you will arrive in the vibrant city of Vancouver. You can also enjoy this tour in reverse, starting in Vancouver and ending in Toronto. 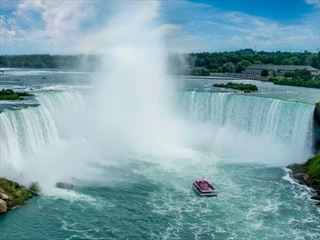 You may also extend your stay in Toronto, allowing you to add on an excursion to Niagara Falls, or perhaps add a few more days in Vancouver to enjoy this appealing city. This is a tailormade holiday and we can adapt this itinerary to suit you. Arrive into Toronto International Airport and transfer independently to your downtown hotel for an overnight stay. 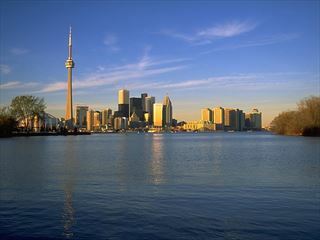 You have the day to explore the fascinating city of Toronto. Take the glass fronted elevator to the top of CN Tower to admire views of the city and Lake Ontario. Sports fans should visit the Hockey Hall of Fame. Or you might want to stock up on your winter wardrobe and there’s no better place than Toronto, with its shops and malls connected by miles of underground tunnels. 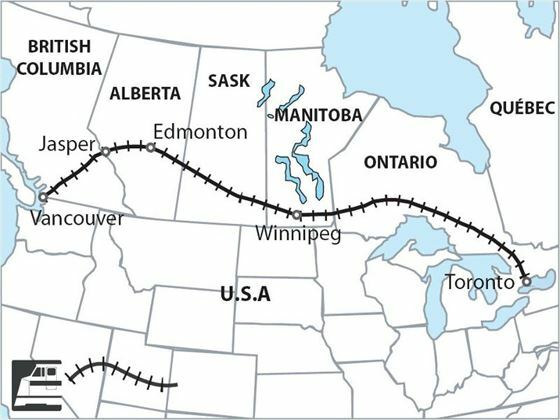 This evening you will board the VIA rail train for your trans-Canadian adventure. NB: there is no evening meal on the first night, so do have dinner before you join the train. 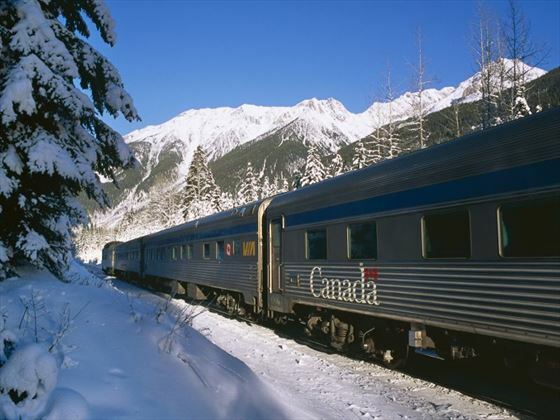 Continue your rail journey across Canada, through rugged Northern Ontario towards Winnipeg and the Great Central Plains. Relax in the comfort of your VIA rail train, as you speed cross country, enjoying the dining service, movie showings, lounge and games area. You can admire the winter landscape in the viewing cars with their domed glass ceiling. Breakfast, lunch & dinner included. This morning you will experience a magical sightseeing excursion – the Jasper Wildlife Discovery Tour, through the national park where you have the opportunity to spot moose, elk and other wildlife. The remainder of your day is free to enjoy other activities around and about Jasper. Enjoy a free day in Jasper, to take advantage of the myriad wintertime activities, including walking trails, dogsledding or snowshoe tours or take the trip up Jaspers SkyTram to view the stunning mountain panorama. After enjoying the sparking mountain air, retreat to one of the many bars and restaurants for a cosy meal. Enjoy a final free morning in Jasper before boarding the VIA Rail overnight train bound for the Pacific Coast and the city of Vancouver. En route you will be able to admire the stunning Monashee and Cariboo mountain ranges. Dinner included. Arrive in Vancouver mid-morning and transfer independently to your hotel. Explore this wonderful city at your own pace, taking in historic Gastown, Robson Street shopping and the Stanley Park trails Breakfast included.